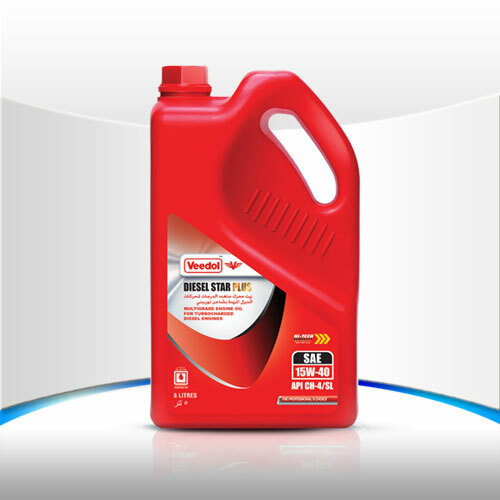 Veedol Diesel Star is a high performance diesel engine oil suitable for modern generation turbocharged / supercharged automobile, heavy duty industrial and Off-Highway diesel engines. Recommended for use in all high performance new generation turbocharged/ naturally aspirated heavy duty diesel engines of Heavy/ Light Commercial vehicles and cars. Unique detergent-dispersant additive system removes and keeps all contaminants like soot/sludge in highly dispersed state to protect engine from abrasive and corrosive wear over longer drain intervals. Provides optimum cooling to all engine components thereby optimizing engine performance.